Justin is a real good boy. He thoroughly enjoys doing tattoos in almost all styles, but is most passionate about traditional tattoos and modern spin offs of the style. Other strong tattoo interests include flowers, mandalas, and other ornamental style tattoos. 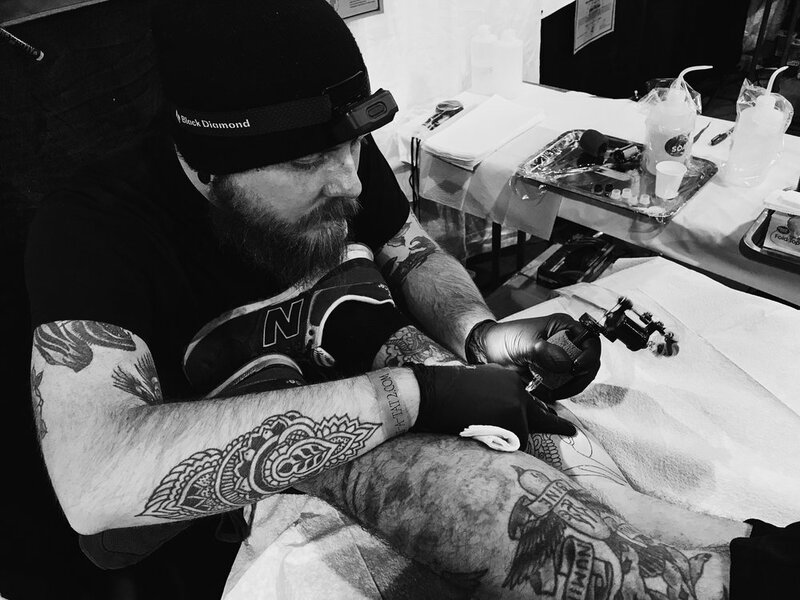 Whether you want color, black and gray, dotwork, or just a linework tattoo, Justin is happy to accomodate, so reach out today and we’ll get your next tattoo booked in! Please send any inquiries to my email and I will generally respond within 24 hours. Feel free to include reference images, size & placement info, and any budget constraints you would like me to work with. Appointments can be scheduled for any day Sunday-Thursday. Thank you!